You can’t reach the trail head by car, but you can park very close to it. The closest parking lot is the last lot that you can reach. After this lot, it’s only the local bus that can pass. Actually, you can leave your car in one of the central parking areas and just take the bus. The trail head starts right over the bridge from the bus stop. You can ask anyone for directions. The Mist Trails is by far the most popular trail in Yosemite National Park. This is also the trail that leads up to Half Dome. During the summer months, the Mist Trail is packed with people…literally packed. I have not seen any trail as crowded as the Mist Trail in Yosemite. 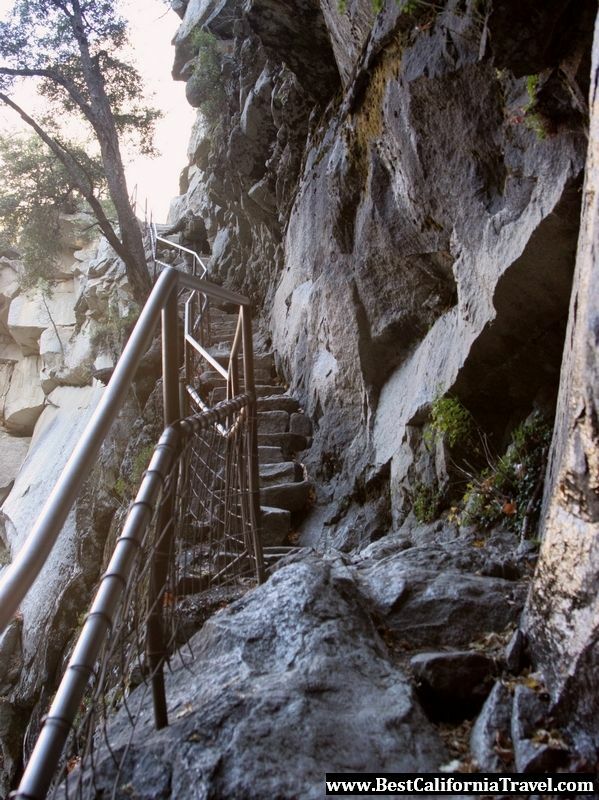 The main reason is that the Mist Trail offers the best concentration of Yosemite attractions in one location. The last portion of the Mist Trail right before reaching Emerald Pool. There are two beautiful falls: Vernal and Nevada. Then you have the river, and the little lake called Emerald Pool. You also have the mountain peaks that surround the falls and the river. Last but not least, you get the amazing panorama of all these natural wonders. This is one beautiful hike! Once you reach the top of Nevada Fall, you can go back on the Mist Trail if you want to return to Yosemite Valley faster. 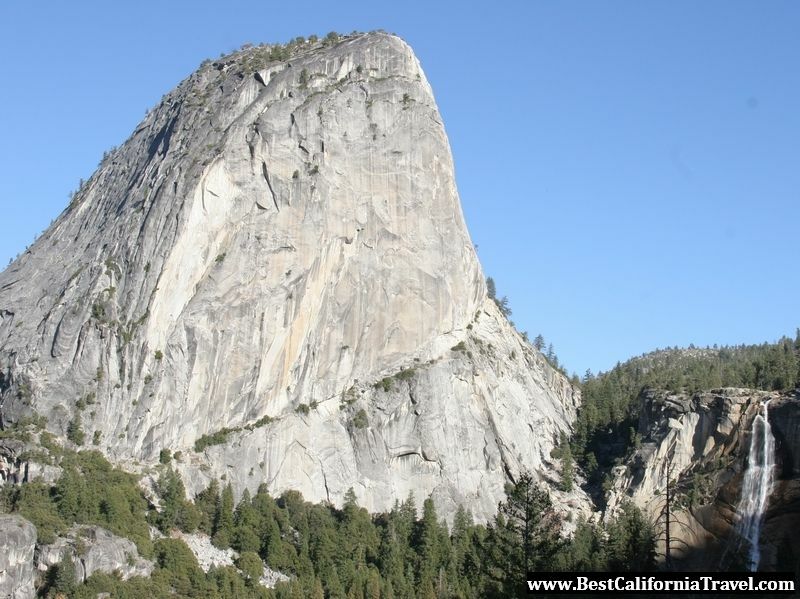 However, if you want to see amazing panoramic views, cross the bridge at the top of Nevada Fall and return to Yosemite Valley via the John Muir Trail. The John Muir Trail is a little longer but it is definitely worth the time and effort. The views you get to see are indeed amazing. 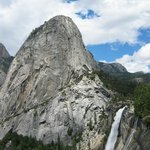 On a sunny day, the John Muir Trail offers amazing views of Nevada Fall and the surrounding mountain peaks.